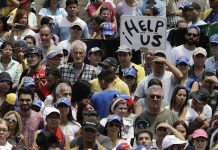 CARACAS — A bag of rice on a hungry family’s kitchen table could be the key to Nicolas Maduro retaining the support of poor Venezuelans in May’s presidential election. The contents of a CLAP box, a Venezuelan government handout of basic food supplies, is pictured at Viviana Colmenares’ house in the slum of Petare in Caracas, Feb. 23, 2018. 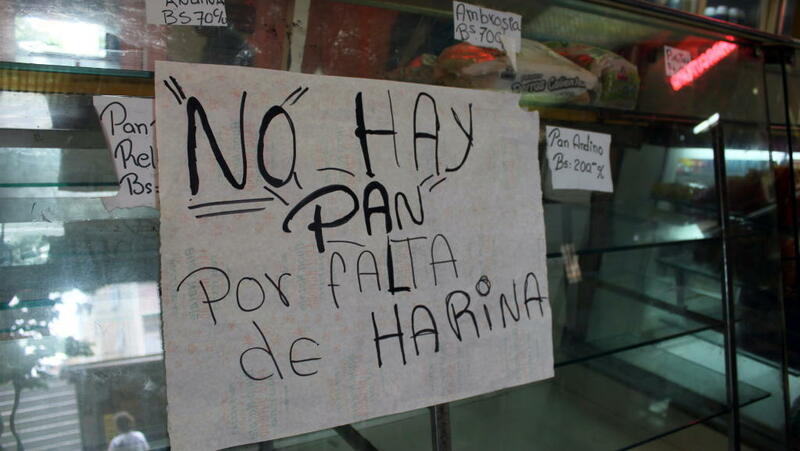 For millions of Venezuelans suffering an unprecedented economic crisis, a monthly handout of a box of heavily-subsidized basic food supplies by Maduro’s unpopular government has offered a tenuous lifeline in their once-prosperous OPEC nation. The 55-year-old successor to Hugo Chavez introduced the so-called CLAP boxes in 2016 in a signature policy of his rule, continuing the socialist government’s strategy of seeking public support with cash bonuses and other giveaways. Now, running for re-election on May 20, Maduro says the CLAPs are his “most powerful weapon” to combat an “economic war” being waged by Washington, which brands him a “dictator” and has imposed sanctions. Mariana, a single mother who lives in the poor hillside neighborhood of Petare in the capital Caracas, says the handouts will decide her vote. “I and other women I know are going to vote for Maduro because he’s promising to keep giving CLAPs, which at least help fix some problems,” said the 30-year-old cook, who asked not to give her surname for fear of losing the benefit. Maduro’s rule since 2013 has coincided with a deep recession caused by a plunge in global oil prices and failed state-led economic policies. Yet the worse the economy gets, the more dependent some poor Venezuelans become on the state. Life in the South American country’s poor ‘barrios’ revolves around the CLAP boxes. According to the government, six million families receive the benefit, from a population of around 30 million people. 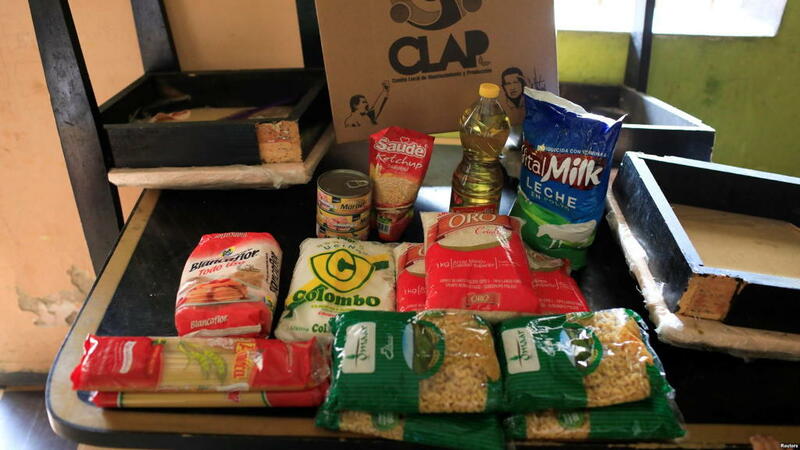 Venezuelans, many of whom are undernourished, anxiously wait for their monthly delivery, and a thriving black market has sprung up to sell CLAP products. 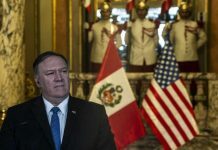 The government sources almost all the CLAP goods from abroad, especially from Mexico, since Venezuela’s food production has shriveled and currency controls restrict private imports. Critics, including Maduro’s main challenger for the May 20 vote, Henri Falcon, say the CLAPs are a cynical form of political patronage and are rife with corruption. 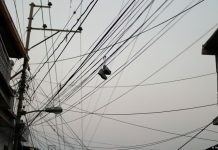 Erratic supply and control of distribution by government-affiliated groups have sown resentment among others. “I can’t count on it. 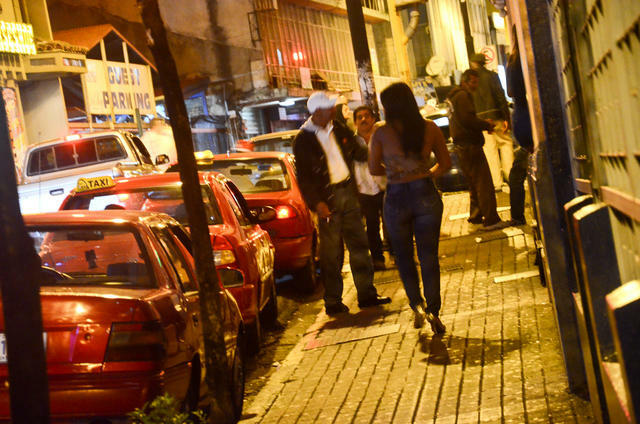 Sometimes it comes, sometimes not,” said Viviana Colmenares, 24, an unemployed mother of six struggling to get by in Petare. 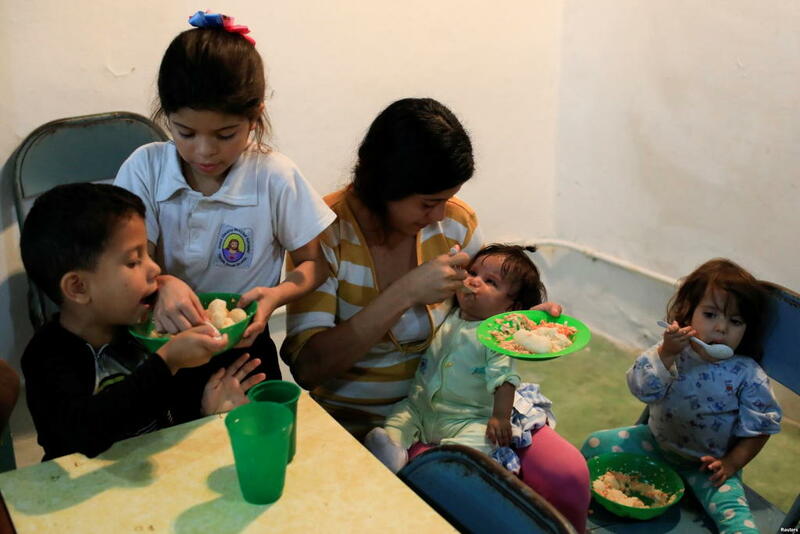 The children of Viviana Colmenares (C) have lunch in a community diner at the slum of Petare in Caracas, Feb. 22, 2018. Stamped with the faces of Maduro and Chavez, the CLAP boxes usually contain rice, pasta, grains, cooking oil, powdered milk, canned tuna and other basic goods. 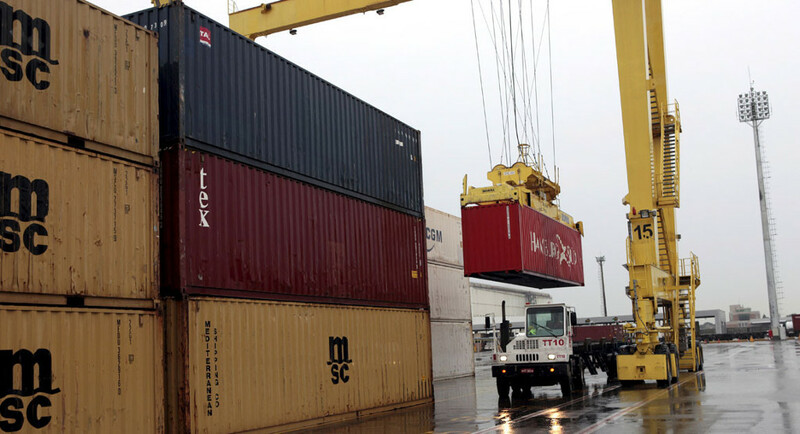 Recipients pay 25,000 bolivars per box, or about $0.12 at the black market rate. That is a godsend in a country where the minimum monthly wage is less than $2 at that rate – and would be swallowed up by two boxes of eggs or a small tin of powdered milk. Inflation, at more than 4,000 percent annually according to opposition data, is pulverizing household income. The administration of the CLAP — the Local Supply and Production Committees — does not hide its political motivation. “The CLAPs are here to stay. They are an instrument of the revolution,” said Freddy Bernal, CLAP chief administrator. “It has helped us stop a social explosion and enabled us to win elections and to keep winning them,” he told Reuters, referring to government victories in 2017 local polls. Sometimes, though, the tactic backfires, as it did when promised free pork failed to arrive over Christmas, prompting street protests. Maduro’s inability to halt rising hunger has jarred with the experience of many under Chavez, who won the presidency in 1998 and improved Venezuela’s social indicators with oil-fueled welfare policies. Even though Maduro’s approval rating is only around 26 percent, according to one recent poll, his re-election looks likely as Venezuela’s opposition coalition is boycotting the vote on accusations it is rigged. His most popular rivals are banned from standing and the election board favors the government. Former state governor Falcon has broken with the coalition to stand. One survey by pollster Datanalisis in February showed that in a two-way race, he would defeat Maduro by 45.8 percent to 32.2 percent of likely voters. Falcon’s critics counter that those numbers mean nothing in the face of electoral irregularities that could arbitrarily tip the balance in favor of Maduro. Several other minor figures have registered for the single-round election, but have little chance of making an impact. Juan Luis Hernandez, a food specialist at the Central University of Venezuela, estimates the country generates just 44 percent of the basic food supplies it produced in 2008. 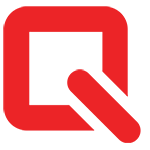 Meanwhile, food imports fell 67 percent between the start of 2016 and the end of 2017 as the crisis bit, he said. The same study found that seven out of 10 Venezuelans had received CLAPs. “They (the government) don’t care about the food issue, just about getting people something to eat while they get through the elections,” said Susana Raffalli, a consultant with charity Caritas. Some Venezuelans fear they would be found out should they vote against Maduro and be punished by no longer receiving food bags. Already handouts are far from guaranteed. A dozen recipients told Reuters that often they arrived half-full and would only come every few months. Outside of the capital Caracas, delivery was even more sporadic. 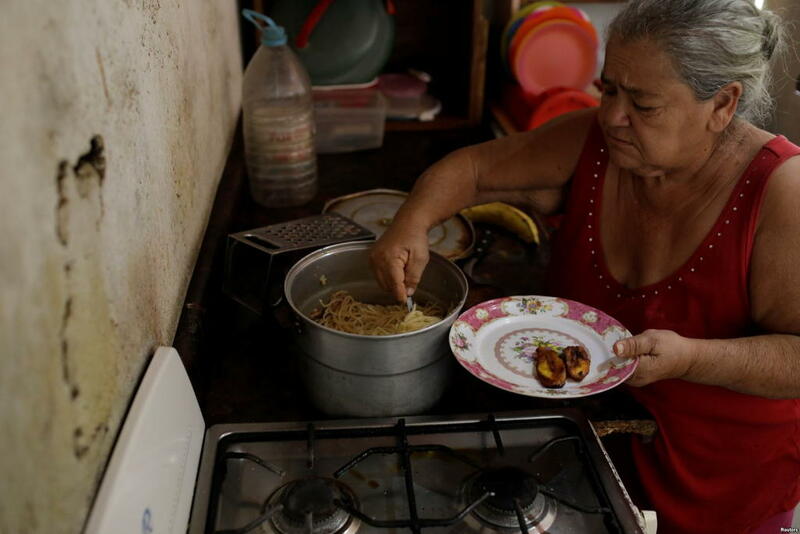 Antonia Torres, mother of Yuni Perez, cooks for seven people a packet of pasta received in a CLAP box, a Venezuelan government handout of basic food supplies, in her home at the slum of Petare in Caracas, March 9, 2018. “I can’t depend on the box, otherwise I would die from hunger,” said Yuni Perez, a 48-year-old rubbish collector and mother of three. Perez, who lives in a ramshackle house made from breeze blocks and corrugated steel at the top of Petare, said a CLAP box provided her family with food for a week. Often they would receive one every two months. When her family is short of food, she hunts for leftovers dumped on the side of Petare’s winding streets. She said she had found several newborn babies discarded in the gutter, which she attributed to mothers unable to face providing food for another child. 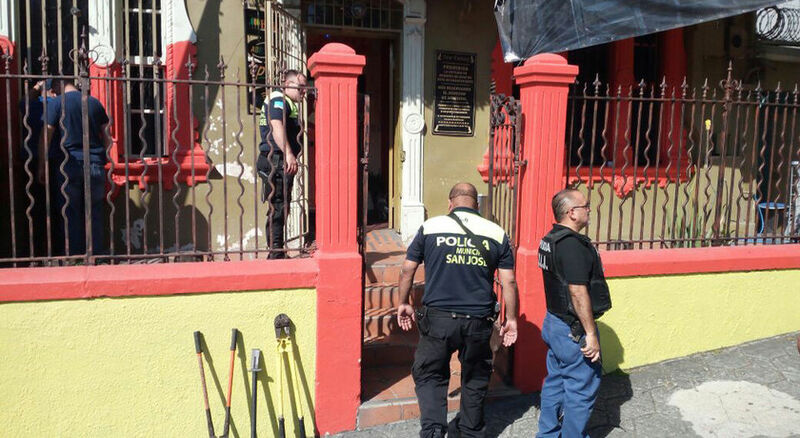 Another Petare resident, mother-of-three Yaneidy Guzman said she dropped from 68kg to 48kg last year, despite receiving the CLAP. “At least for 10 days you don’t have to think about finding food,” the 32-year-old said of the handouts, her cheekbones protruding from her face.